You all know the benefits of drinking water in maintaining good health and a bright, moisturized and youthful looking skin. Those expensive anti-aging creams and potions are useless if you are dehydrated. You see, when a person suffers from dehydration, it affects the skin so much – making it look dry, dull and flaky. So if you are wondering why your skincare products seem to not work, think about how much water you drink in a day. To keep yourself hydrated, you have a variety of options – fruit infused water, teas, smoothies, fruit juices, etc. But did you know that there are certain types of drink that have extra anti-aging properties? 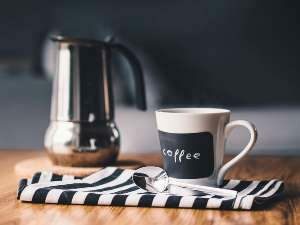 A recent study conducted by Stanford University School of Medicine showed a connection between caffeine consumption and age-related inflammation. Aside from the boost of energy that a cup of Joe gives, moderate coffee consumption is also said to help combat neurological problems such as Alzheimer’s Disease. When it comes to maintaining youth, your cup of coffee in the morning can help eliminate any redness and inflammation in your skin. Just like wine that gets better with age, moderate Red Wine consumption can help you feel better as you age. Red Wine is rich in antioxidants called polyphenols that protects your heart and lowers bad cholesterol which aging individuals usually have problems with. Although pimples are rare in older adults, red wine has anti-bacterial properties that help fight acne and other skin problems. Milk bath has long been used by Cleopatra and Elizabeth I as a way to preserve the beauty and youth of their skin. But we are not queens and imagine how much money you need to spend to fill your tub with milk. Don’t worry, you don’t have to. Just drink soy milk instead because it has isoflavones that makes the skin firm, elastic and moisturized. Pomegranate is a fruit that is delicious and full of antioxidants that benefits the skin. However, it takes a lot of work to peel and deseed this fruit. Good thing that Pomegranate Juice is readily available in supermarkets. Just make sure that there is no sugar added. We all know the wonders of Green Tea for our health especially in weight loss. But it is rich in polyphenols that fight off cell damage and aging, helping you look youthful as ever. So there you have it, the 5 drinks that you should be sippin’ on to combat aging. Cheers to your youth!